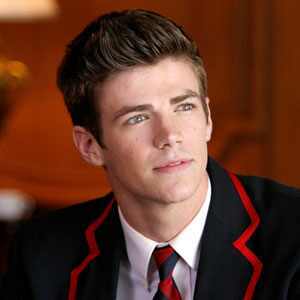 Grant Gustin (Sebastian!) Opens Up About Fan Backlash and What's Ahead! Hell hath no fury like a fanbase scorned. So when Grant Gustin won the role of the scheming Sebastian, who would (attempt) to come between Blaine (Darren Criss) and Kurt (Chris Colfer), a lot of Glee fans cried out for his blood. Others fell in love with snarky Sebastian. And we…well, we couldn't decide how we felt. So we decided to force invite Grant into our studios and sit him down for his very first oncamera interview so we could get a real look at the man behind the evil Sebastian. And do you know what Grant had the nerve to do? …he charmed the pants off us. Seriously, as soon as he started telling the story of how he found out about winning the role of Sebastian, we were doomed. Didja know he took a call in the middle of performing West Side Story onstage? "I had a voicemail from my manager, and he knows I'm in [the middle of] a show," Grant tells us. "Of course I called him right back. And he was like, 'you got it, man!' And I didn't even believe it. And I was in the middle of the first act, so I still had the rest of the show to do." As excited as he was, it turns out that Grant was not going to be welcomed with open arms by the Glee fanbase, not when he was set to potentially break up a fan-favorite couple. "It pissed everybody off," he laughed. "I didn't really know it was going to be this intense, mean character…major douchebag. And all these pictures started coming out of Darren Criss and Chris Colfer with my head shot in the middle, just set up to be the douch-iest!" Yep, he described the exact picture we ran with his casting announcement way back when. Ahhh, memories. And what do fans do when they smell a threat? Take the fight to the Internet! Since by now it's clear that Kurt and Blaine were not affected by Sebastian's "Craiglist-scented" advances, what's there left for Sebastian to do? Well, next week's highly anticiaptd Michael Jackson tribute episode marks a big one for the character, and we know we're not alone when we say we're dying to see the full "Smooth Criminal" number. And after that? Grant would only reveal he's not going away anytime soon. "Sebastian will be back after the Michael Jackson episode," he reveals to us. "He's got a fun little return coming up." And since we've only heard rumblings of a series regular upgrade for him and not any official confirmation, Grant can only say this about next season: "I would love to be around for as long as they'll have me. I'm having the time of my life." To hear if Sebastian could transfer to McKinley and more MJ talk, check out our full interview with Grant below and feast your eyes on the just-released video performance of "Wanna Be Startin' Something," starring the smooth moves of Darren Criss!